Thanks to one our our client we added a cool new feature to make our service better. 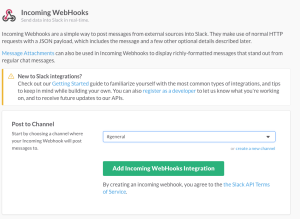 If you use Slack for communication needs, you can integrate your Slack service with AgentSlug.com. Integration process is simple and should take not more than 5 minutes. After everything is done we will start delivering downtime alerts right to one of your chat rooms. 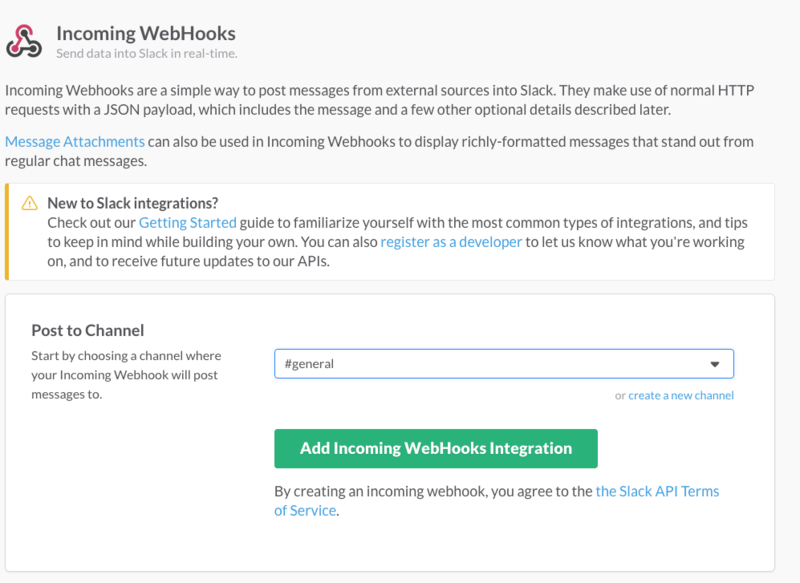 Log in to your Slack account and then, navigate to “Configure integrations > Incoming Webhooks“. 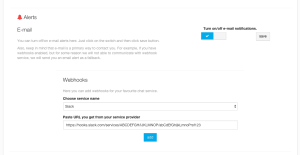 Then select channel for AgentSlug.com alerts. 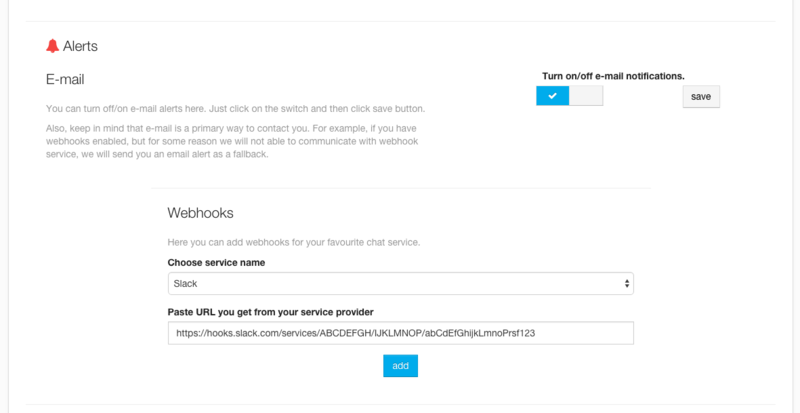 We will be able to post messages to single channel for every webhook URL. 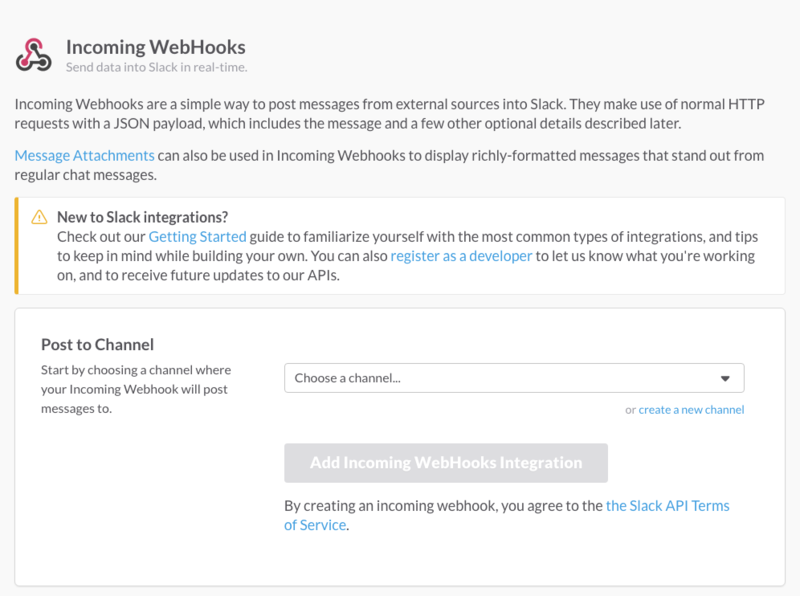 When channel is selected, click this big green button with “Add Incoming Webhook Integration” label. Then, when page is reloaded, just copy the red url and keep it for further use. When URL is generated it’s time to add it to your AgentSlug.com account. To do that, simply log in to you account and navigate to Account Settings page. 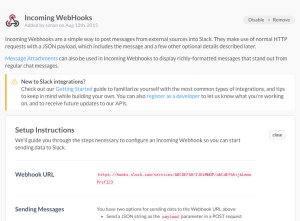 Then scroll to Alerts section and simply paste the URL you have from Slack.com to the URL input field. Right after you hit the “add” button we will send you a test message. If you got it, everything is done. 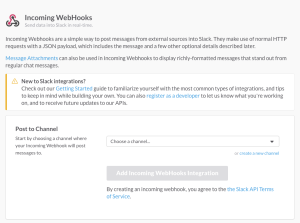 If you don’t like receiving alerts to your e-mail inbox, you can safely turn it off on your Account Settings page and rely only on Slack messages. 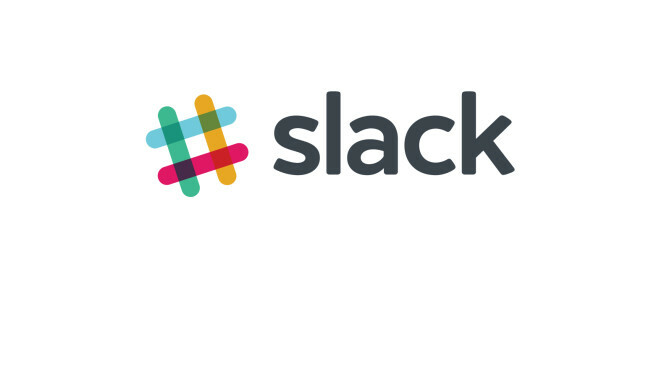 However, please keep in mind, that if for some reason we will not able to send up/downtime alert to your Slack channel, we will send it by e-mail as a fallback. 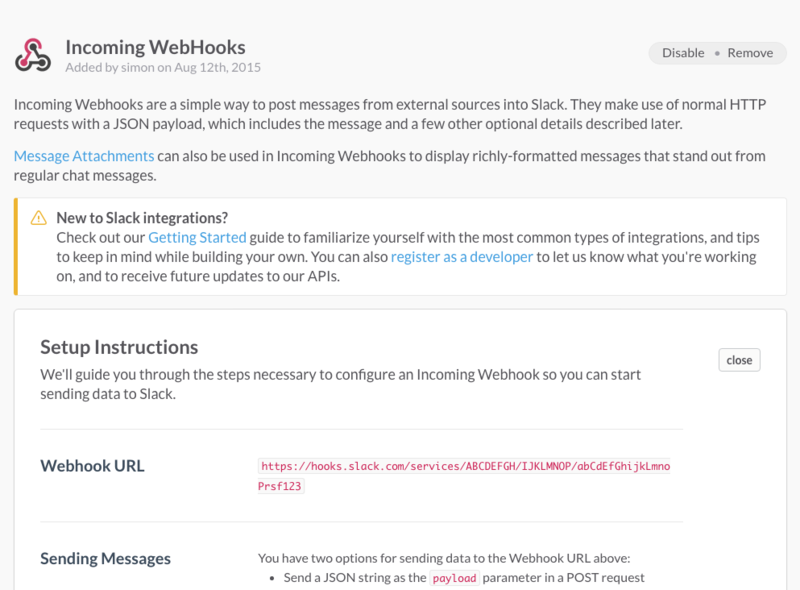 * Our service is not created by, affiliated with, or supported by Slack Technologies, Inc.